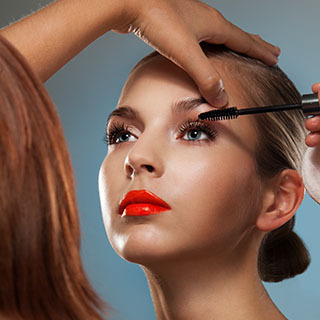 This 3 hour introduction to makeup class is ideal if you would like to learn how to apply make-up on yourself. Instruction is classroom based and hands on, with the tutor carrying out a demo followed by attendees trying out the look on themselves, under tutor guidance. The workshop is suitable for beginners. The workshop covers: Skin care, how to prep skin for make-up, How to select foundation for your skin tone, how to apply pre-base, how to blend foundation for a flawless look, eye make-up techniques, highlighting and contouring, concealing, turning a professional day look into an evening’s look with Smokey eyes or dark lips, fitting strip lashes. Classes are subject to to a minimum of 6 students. Lessons run Monday - Friday, 6-9pm.